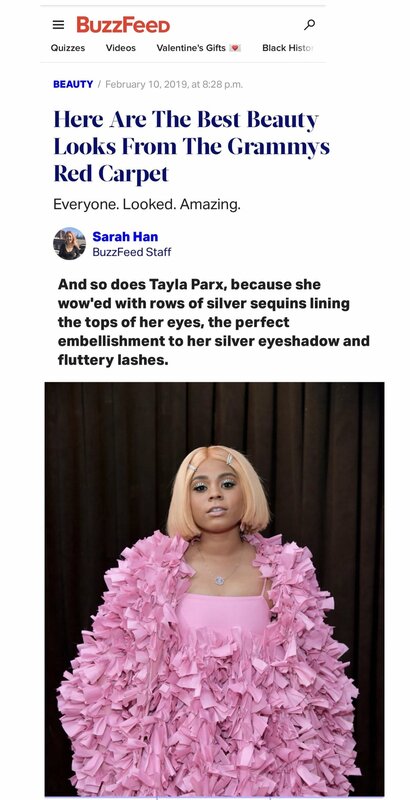 Makeup for Grammy-Nominated Singer and Songwriter, Tayla Parx. for the 2019 Grammy Red Carpet captured by E! News.